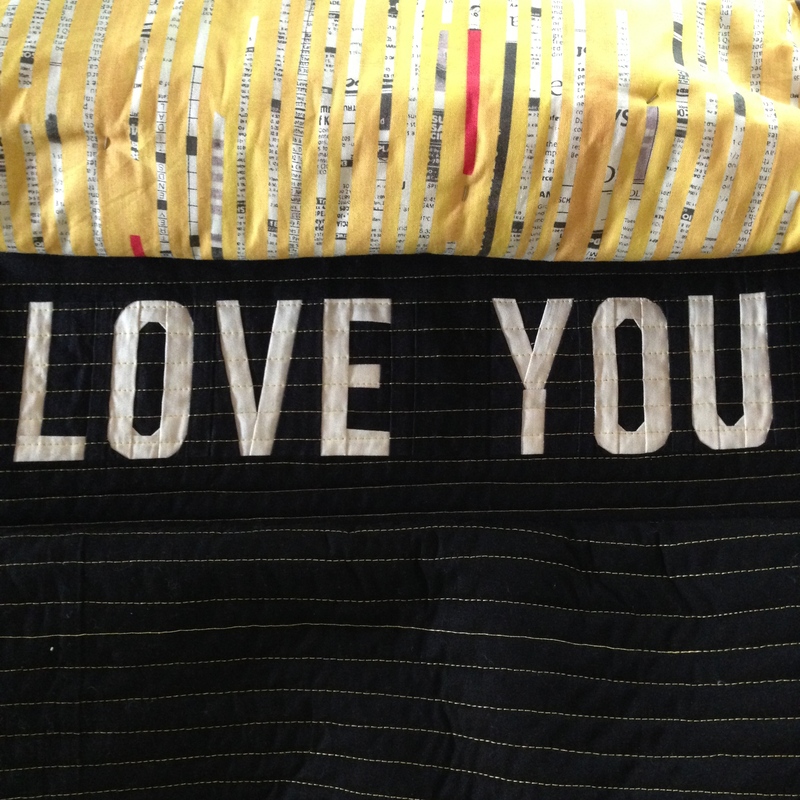 Still plugging along on the husband quilt. I’m doing straight-ish lines about 1/2″ apart. 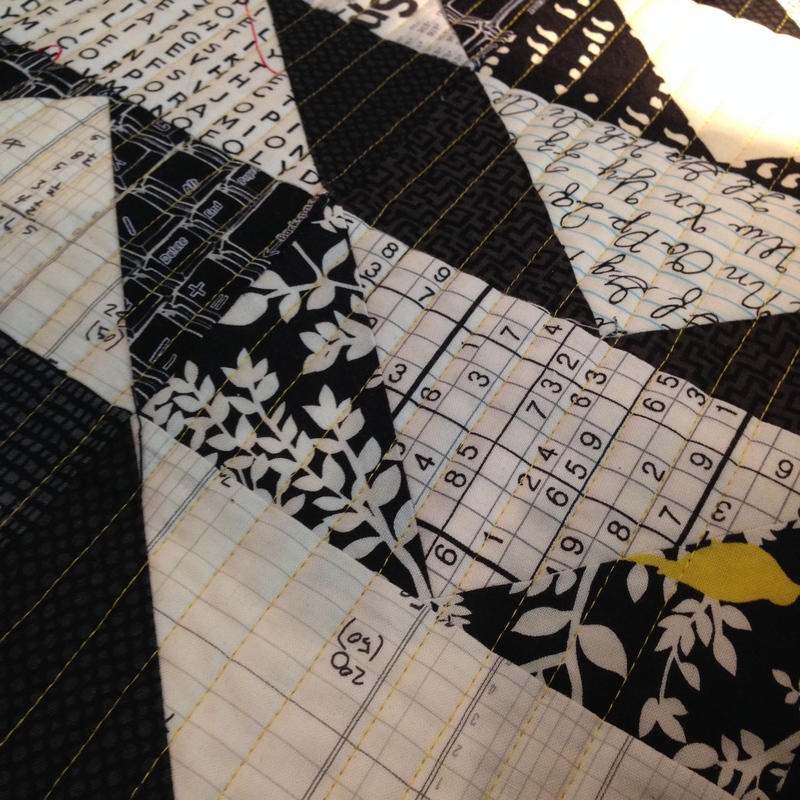 The quilt is 72″ square at the moment, so in an hour I can do about a foot of quilt. There’s a lot of wrestling– this baby is heavy! I have about 18 inches to go– an hour an a half! I think I can, I think I can…. Keeping plugging away, Melanie! It looks fabulous! That wrestling is my least favorite part of the quilting! 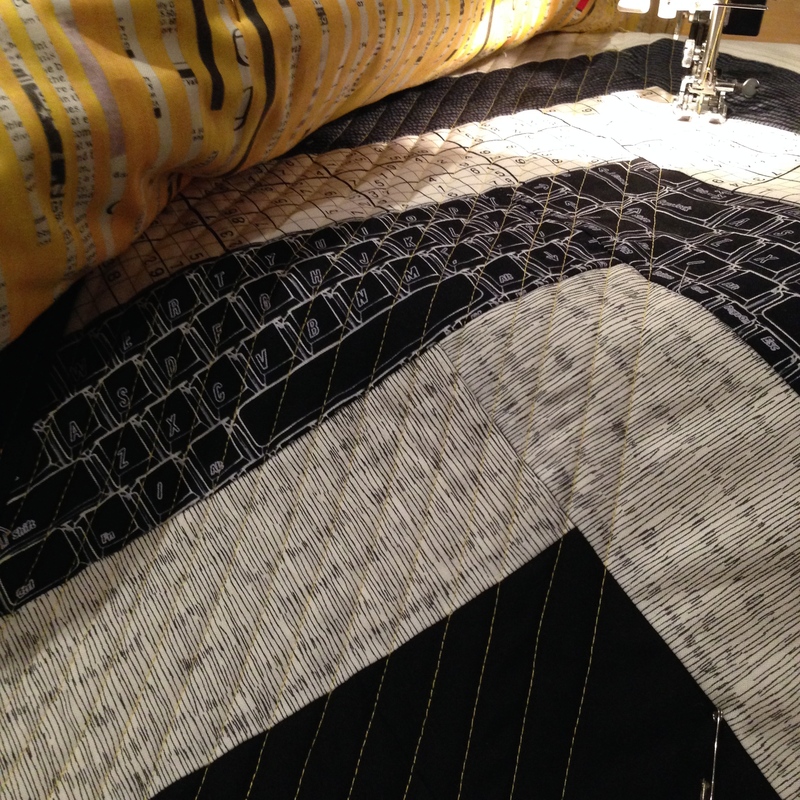 Big quilts are such beasts. But it looks great, and once it’s done, it done! Thanks, Renee. It makes it so much easier to know that you guys are out there cheering me on. And you’re right, once it’s done, it’s done. And it looks great. Now I just need to stretch my left shoulder and neck…. It’s the Mel That Could! But the quilt police aren’t using a stopwatch, and aching arms and shoulders are no fun. He’ll love it just as much if it’s completed a day later. Go, Mel, Go!!! 😀 If you’re like me, the last bit will go faster than any other part – excitement over a finish makes you sew faster! Promise of a reward helps too…. You’ve got this! It looks fantastic! Your husband is going to live it. I was going to make one for mind who turns 50 in August but haven’t gotten started!! !